Dental Background: Dr. Aaron Haag was born in Lincoln, Nebraska into a family of dentists. His mother and father practice in Lincoln and were an integral part in introducing the field of dentistry to Dr. Haag at a very young age. 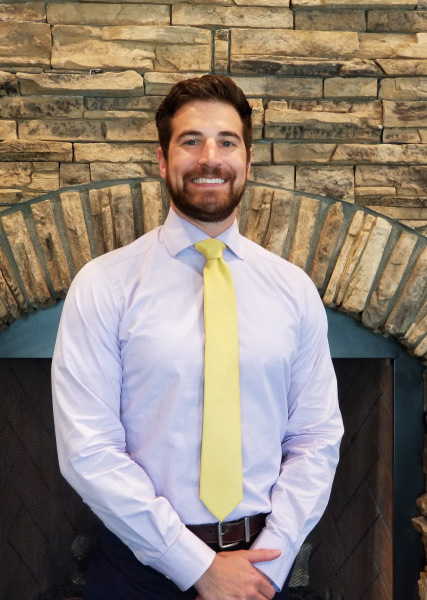 With many fond memories of playing in his parents dental office and assisting his parents during undergraduate school he was destined to work in a dental setting. Dental Education: Dr. Haag received his bachelor of science in Biochemistry from Doane University. After undergraduate school he spent one year in Utah as a Research Assistant for Clinicians Report, a non-profit dental research institution. Finally he obtained his Doctor of Dental Surgery from the University of Nebraska Medical Center College of Dentistry. Family: Dr. Haag is married to another dentist, Dr. Sarah Hansen, whom he met his first year of dental school. Drs. Haag and Hansen live in Prescott and enjoy experiencing everything outdoors that Arizona has to offer. They love to mountain bike, hike and go snowboarding during the winter among other things.